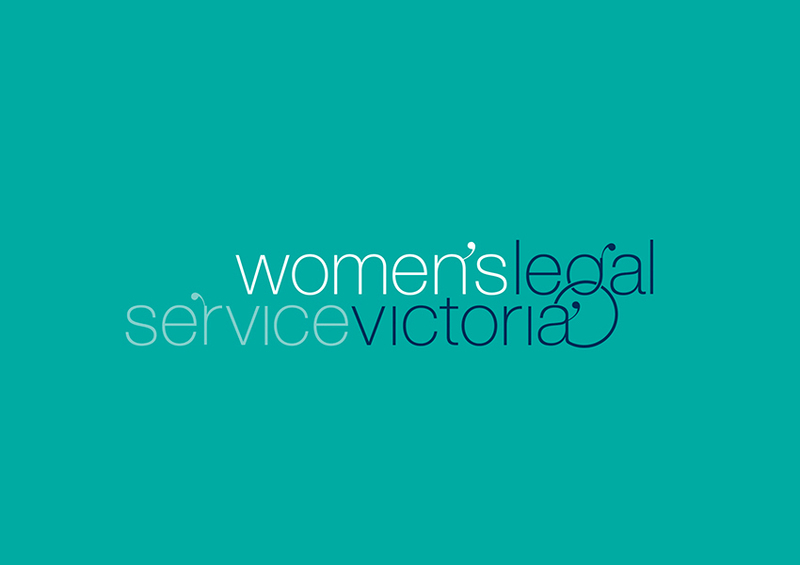 Client: Women's Legal Service Victoria (WLSV) is a not for profit organisation providing free and confidential legal information, advice, referrals and representation to women in Victoria. 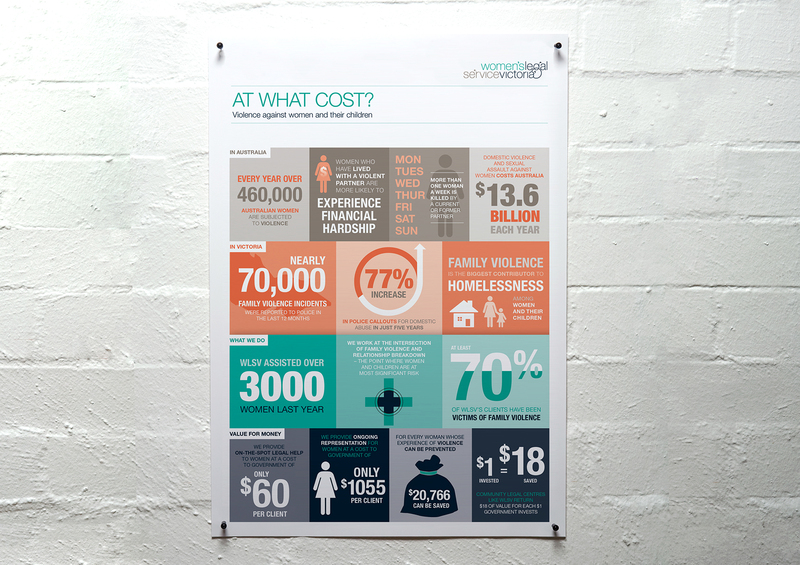 They specialise in issues arising from relationship breakdown and violence against women. Brief: We were given the task to create a new brand identity for WLSV which was to be serious, professional, yet non-intimidating and feminine. 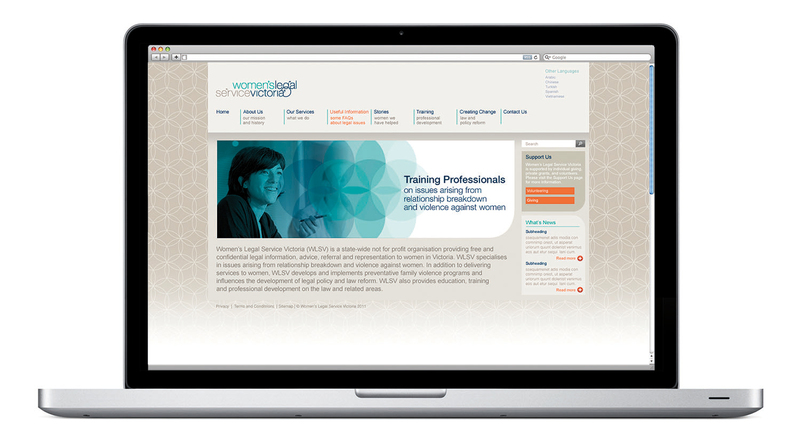 It needed to appeal not only to the legal sector but also most importantly to women who depend on this service. Solution: The identity created was based around the concept of connection and support. 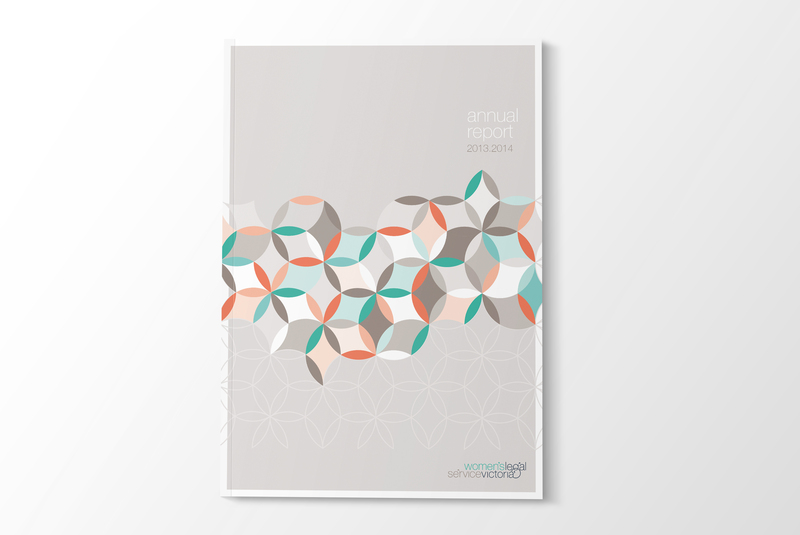 This was communicated in the form of a unique linking pattern which can be used in a variety of ways on all collateral and was supported by a system of colours and simplistic yet functional typography. 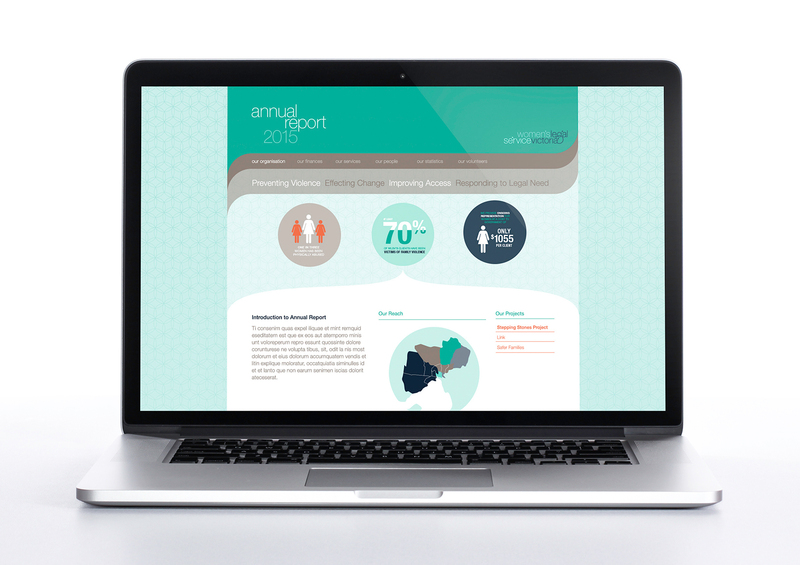 The design appeals to a female audience without appearing twee or meek. Result: The brand now communicates a strong message of professionalism, reassurance and seriousness, crossing all age groups and cultural boundaries.